It’s been more than 24 hours since I first heard the news and I’m still not sure it has really sunk in. 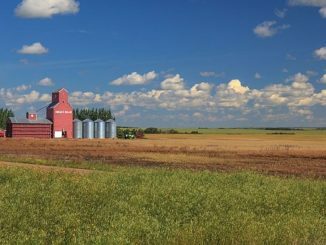 What happened Friday afternoon on a quiet rural highway in Saskatchewan has rocked Canada and beyond. It has forced us to pause, to pull those close to us a little closer, to think of what is important. The email included a link to Dave Dawson’s tweet. Dawson, a sportscaster and writer out of Edmonton, appeared to be the only person to have commented on Twitter just before 8 pm ET. Horrifying. Hearing from a source that the bus carrying the Humbolt Broncos of the #SJHL was just struck by a semi en route to their game tonight. Please pray. My initial reaction was to hope it wasn’t true or wasn’t that bad. My second reaction was to think about my own boys, both in the same age range as those on the bus. As the news sunk in of the reality, I thought back to the junior players that used to billet across the street from me as a kid. Unfortunately, Dawson was right and a nightmare for the nation began to unfold. At first we didn’t know how bad the crash would be. Slowly, via social media at first, we started to see photos of the bus and it quickly became clear this would be bad. But even with the photos, even with speculation among broadcasters, on social media, I would not have guessed 15 dead, so far. There is a heaviness across the country, a palpable black veil has fallen across Canada. People that don’t pay attention to hockey are gripped by this story and grieving with the families of the players and the town of Humboldt. 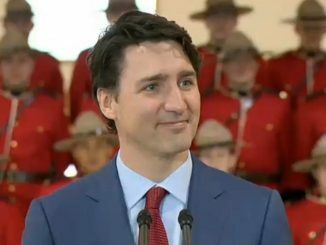 The reason so many everyday Canadians, along with celebrities around the world, are tweeting, commenting, posting and reading all they can about this story is because we can all imagine, we all fear, this being our story. This could have been a school trip, a group of scouts or cadets, this could have been the out of town band trip that I had signed my youngest up for earlier that day. We can all imagine ourselves or one of our loved ones in this situation and that is why our hearts break for the Humboldt Broncos, the players, the coaches, their families, the billet families. This is much more than an online rending of garments, this is no mere slacktivism with a hashtag for a cause we care about for as long as it takes to make a post, this is heartfelt from coast to coast and beyond. 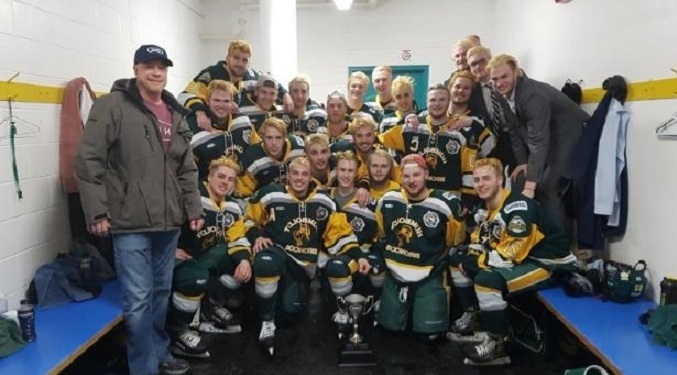 As I waited and searched after that initial tweet from Dawson to find out if this was real, or what I hoped for – a minor accident, I came across a tweet thanking the billet families of the Humboldt Broncos for all they had done during the season. It was this tweet that took me back to my own childhood with billeted players living across the street from me. The families that take in these young boys and care for them as their own are the unsung heroes of the junior hockey program. They open their homes, help these young boys adapt to a new town, make sure they have what they need for school and hockey life as well as a place to call their home away from home. In the mid-70s, I had Ric Seiling and Archie King living across the street from me while they played for the Hamilton Fincups. Seiling went on to play more than a decade with the Buffalo Sabres, King played across the IHL. To me, they were already grown men that shoveled our driveway to just get in a workout and occasionally would jump in on the neighbourhood game of street hockey. Those memories make me think of how many lives those young men, lost far too soon, have touched. How many young kids in Humboldt, or in their respective hometowns, looked up to them? How many second families, like the ones that billeted them are grieving tonight? The tributes have been non-stop over the last 24 hours and rightly so. Earlier today I drove by the Canadian Tire Centre, home ice for the Ottawa Senators, and choked up seeing the roadside sign, normally filled with ads and promotions for upcoming events showing nothing but the Broncos logo. Perhaps the most moving tribute, that I saw, was the one prior to the Winnipeg Jets game against the Chicago Blackhawks. Instead of lining up on their respective blue lines for the national anthem, the players gathered around the ring at centre ice. Instead of being divided into teams the players alternated with one Jet, then one Blackhawk, and on it went. On the back of each jersey wasn’t the players name, they all had the same name, Broncos. I choked up, I shed a tear and there is no doubt that I was not alone. Humboldt will never be the same, the Broncos will never be the same but at this point I truly hope it brings the town and the team some comfort that the entire nation is with them. 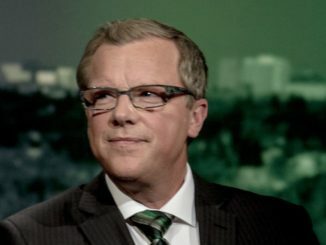 Trudeau and co. threaten Saskatchewan while rewarding B.C. I am a mother of twin men that cut their teeth on hockey sticks. They played in university and beyond. How many tourneys and bus trips did we go on…dozens. God bless the families . God speed to everyone involved. Yes it is a national tragedy. And a very personal one for 15 families who are waking up to the second day of knowing they will never see their son, their brother or father again. Instead of phone calls and texts about the game or school or work, they’ll be making funeral arrangements. I can only imagine what they are going through. For the injured, I pray they recover physically and mentally from this life-changing disaster. Well done Brian. All rural families had their kids travel on bus to school, sports events and general transportation in a small town. My thoughts are with all those affected by this terrible terrible accident.